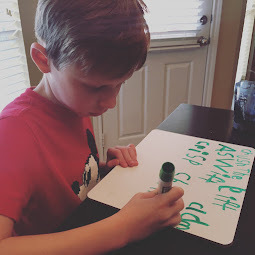 All year long our family enjoys talking about our family theme for the kids' Halloween costumes. 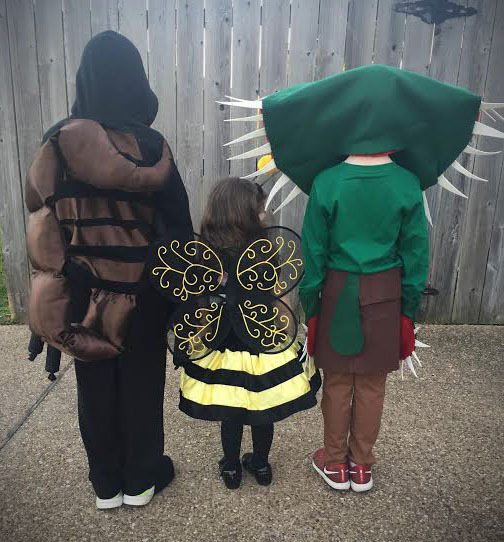 This year, we decided on the theme of "insects." 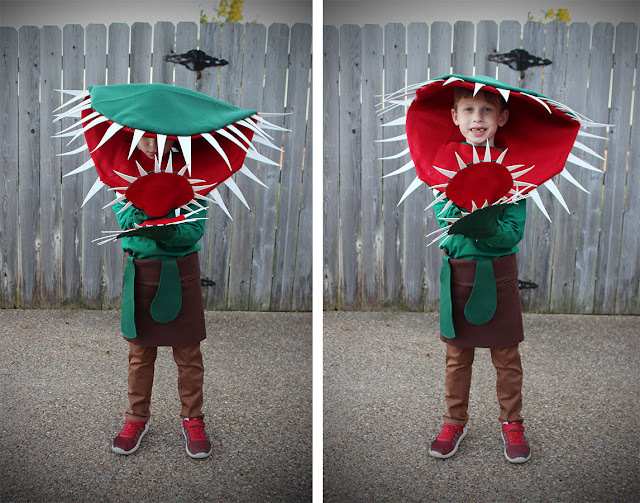 But somewhere along the way, Bennett decided he wanted to be a "Venus Fly Trap". So, since everyone wasn't an insight, we're just gonna call this year's theme: "Plants and Insects That Attack." 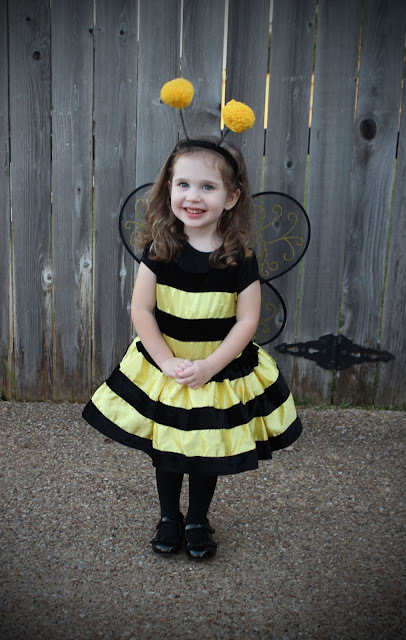 Avonlea, 3 years old, insisted she was a "Bumble Bee" this year. But, let's be honest, this little one is well known as the "Queen Bee" in our family. Although I greatly enjoy making the kids costumes each year, I found this costume at Marshall's and called it a day! Bennett, 7 years old, dressed up as a "Venus Fly Trap." 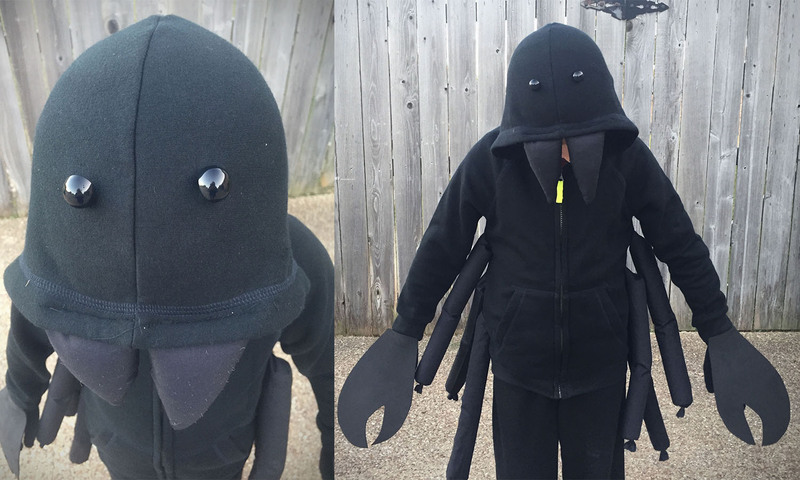 Most of his costume was made from fleece and a hot glue gun. 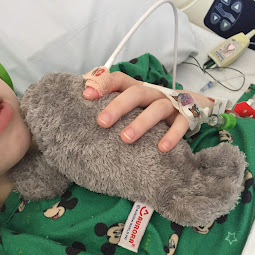 The teeth were made of soft foam. The Venus Fly Trap mouth kept its shape by way of two wire hangers. Bennett's Venus Fly Trap hands included an old pair of mittens inside. 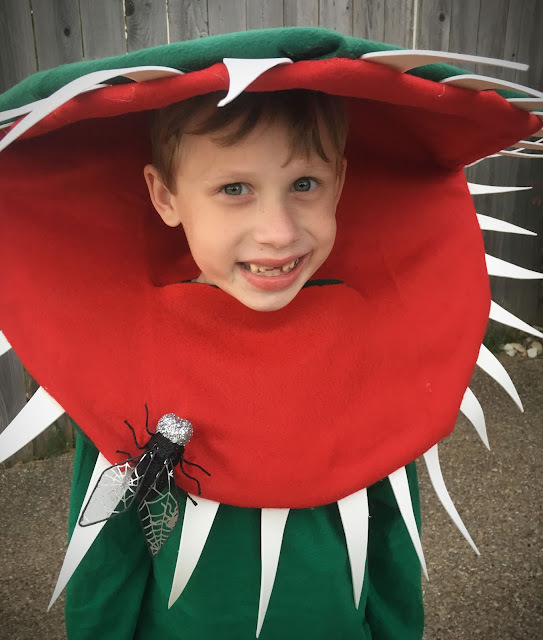 We were even able to find a giant fly at Michael's to go with this year's "Venus Fly Trap" costume. 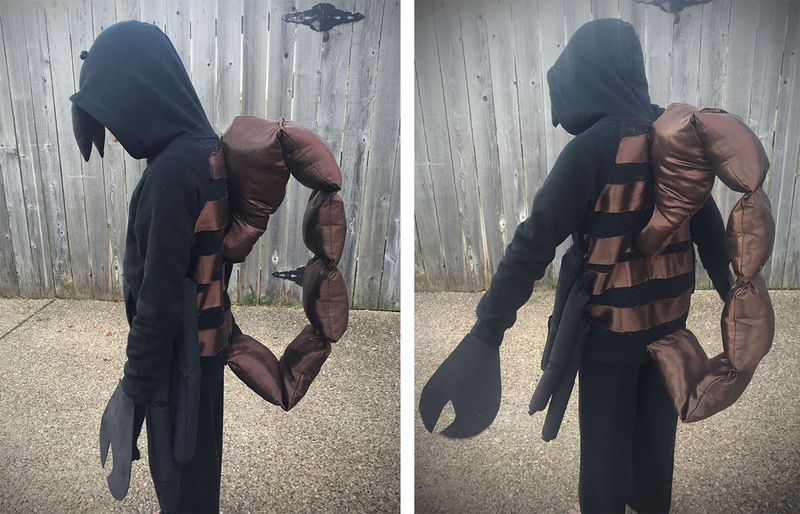 Oliver dressed up as a "Scorpion" this year. Being almost 9 years old, he wanted to stay in character this year so I didn't get a good picture of his sweet smile. 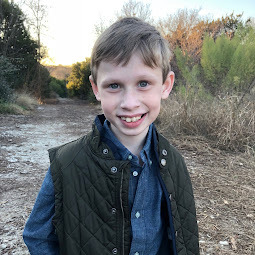 His costume might have been the most fun to create because I enlisted the sewing talents of my friend Margaret (who made Oliver's tornado costume here). Costume making is so much fun when a creative friend is involved! 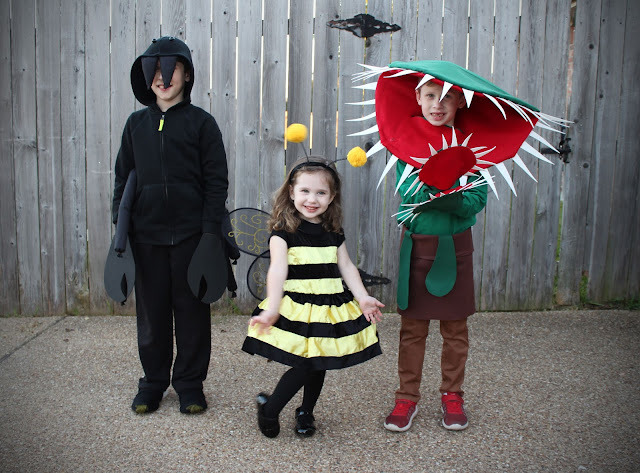 I'm not sure how much longer these sweet children will joyfully entertain my love for making their annual halloween costumes but I'm grateful they still welcome my participation in making them. Check out our costumes from years past: 2015, 2014, 2013, 2012, 2011, 2010, 2009.